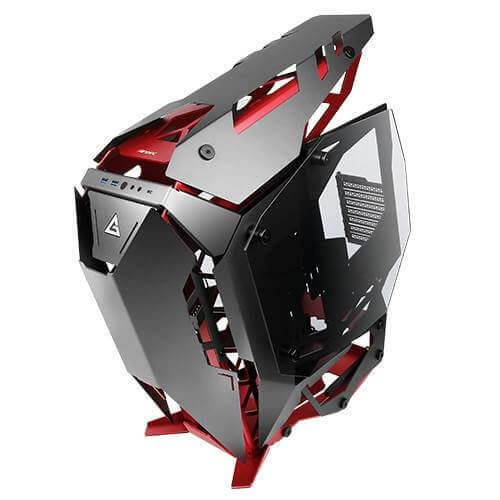 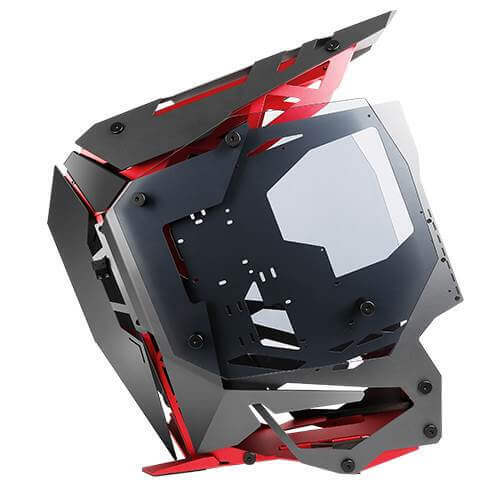 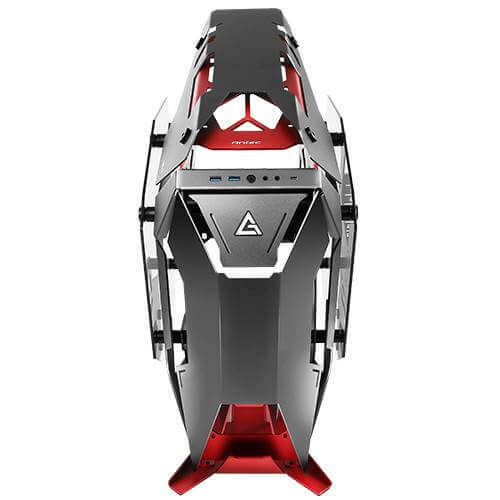 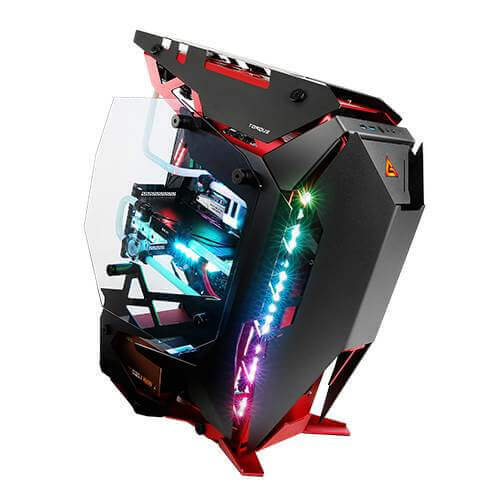 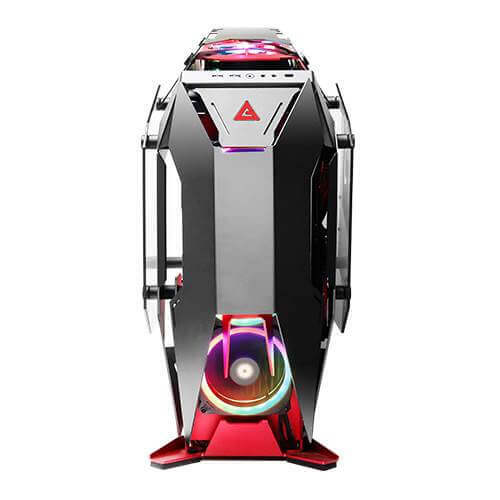 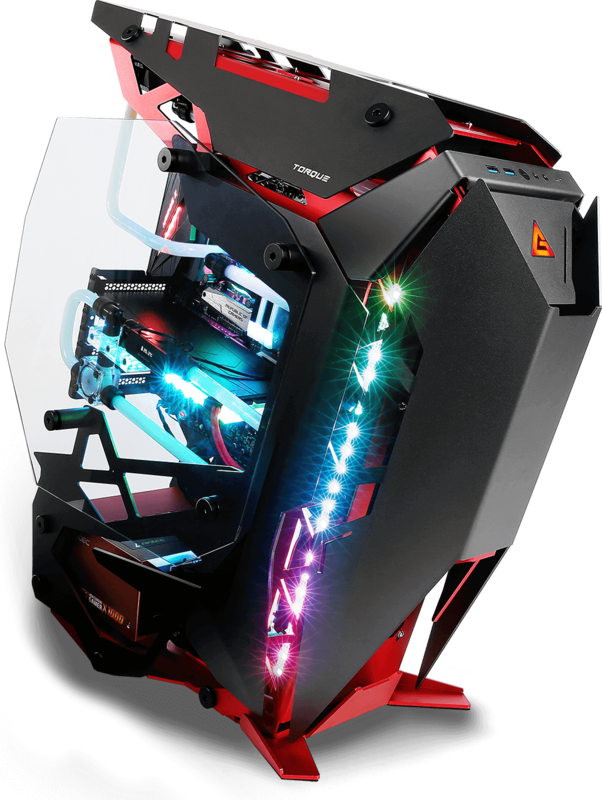 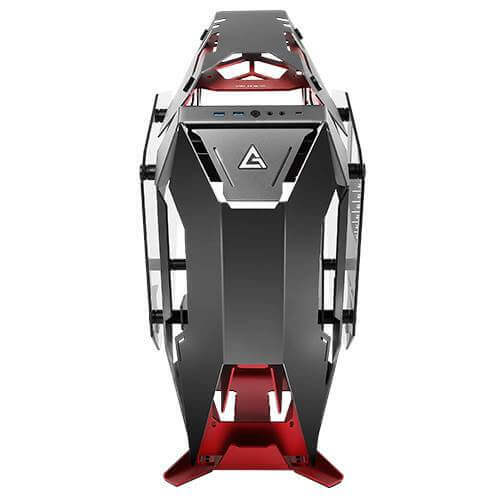 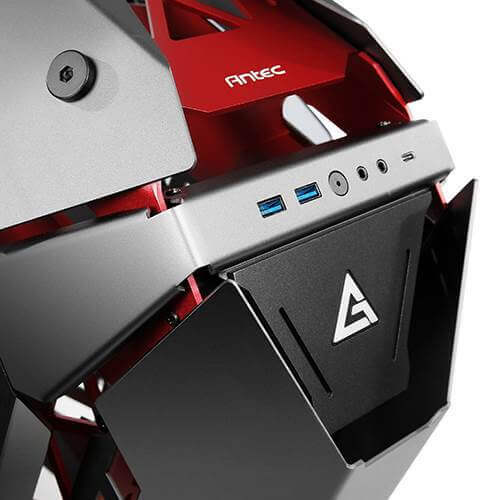 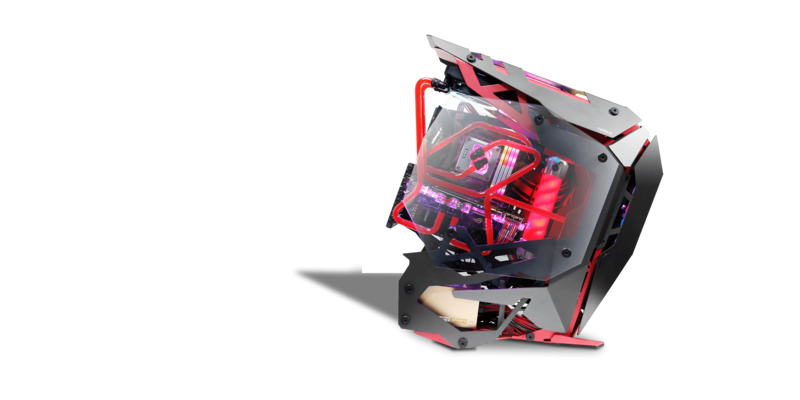 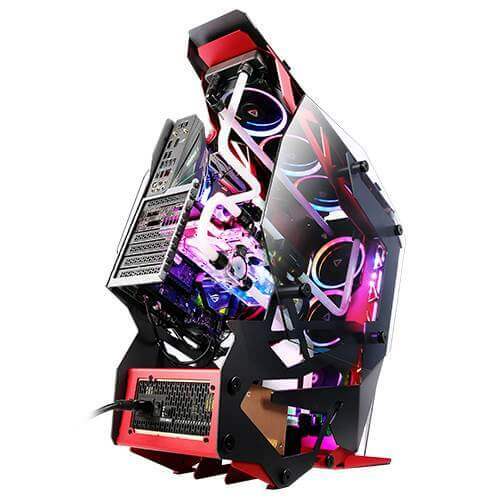 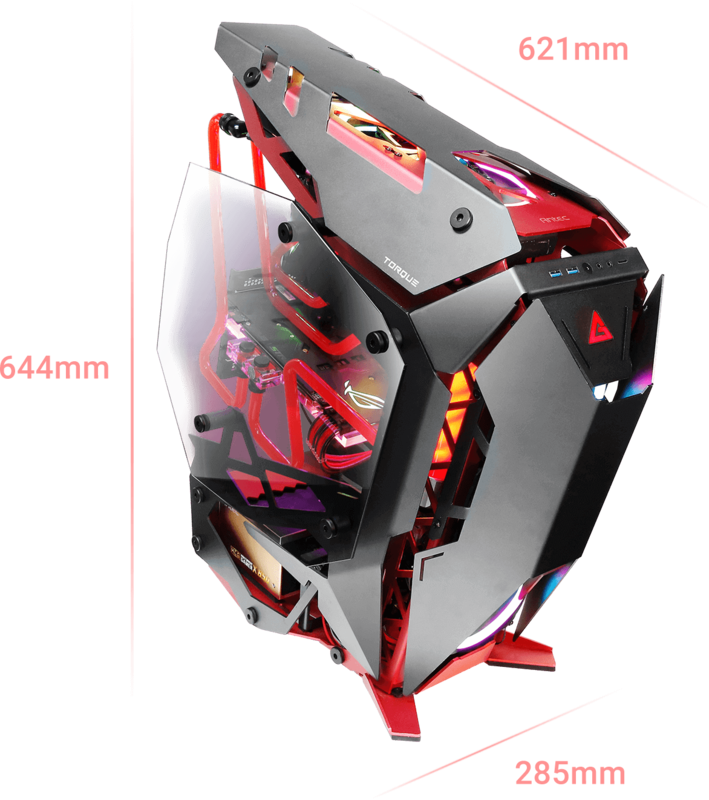 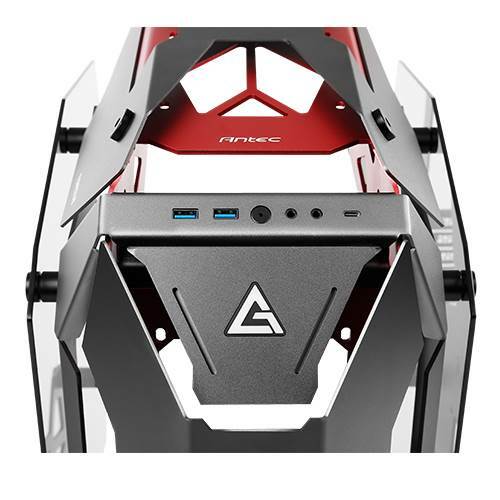 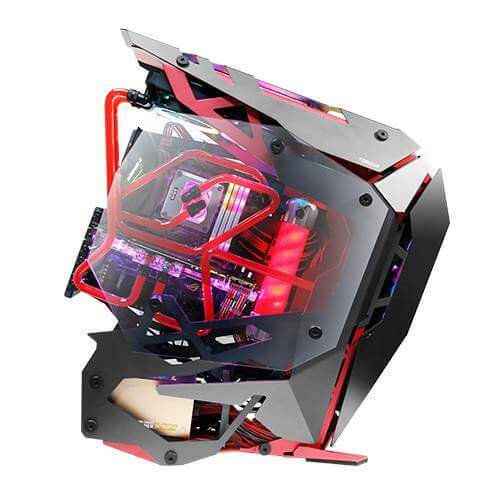 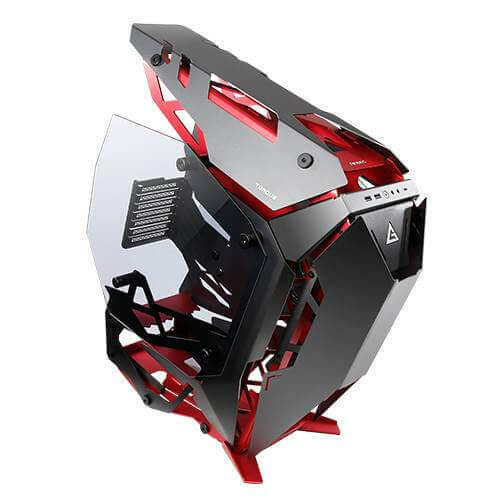 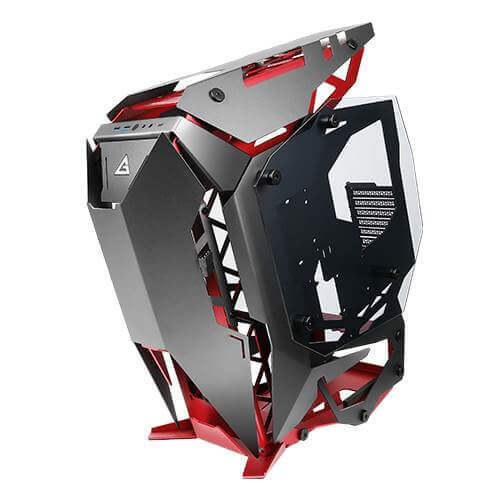 Torque, a commanding mid tower with a forward-tilted motherboard position, aggressive lines, and plenty of features designed for performance-heavy builds, merges precision cut aluminum panels in high contrast crimson and gunmetal to bring an augmented experience to your desktop. 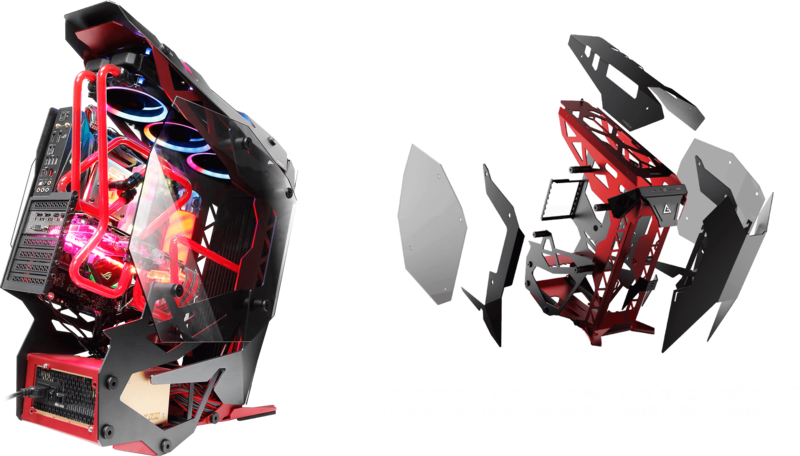 Torque is entirely open-air, with vast airflow and cooling management measures in place so that form and function are in perfect alignment. 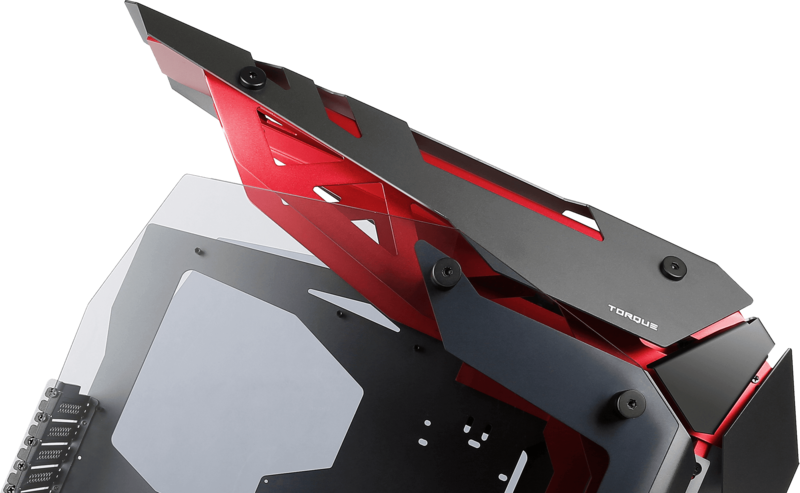  The high quality anodized aluminum panels are corrosion resistant, for unrivaled durability.  Torque enables easy access to the top radiator. 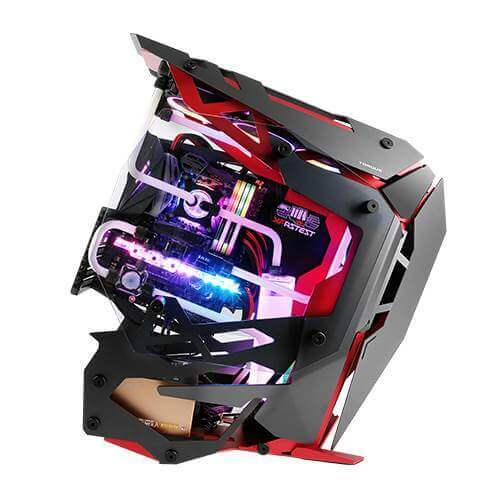 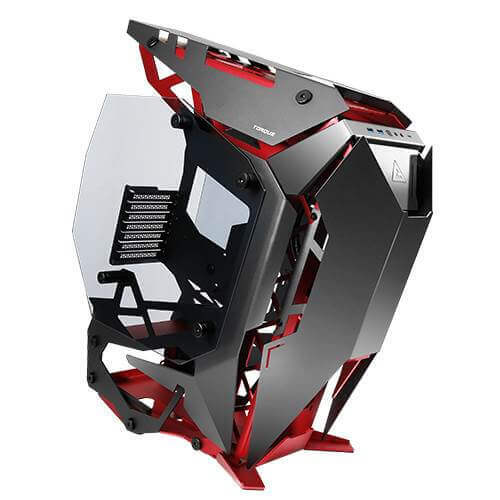 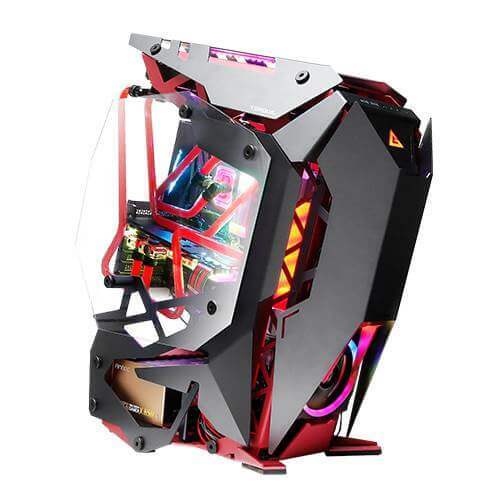 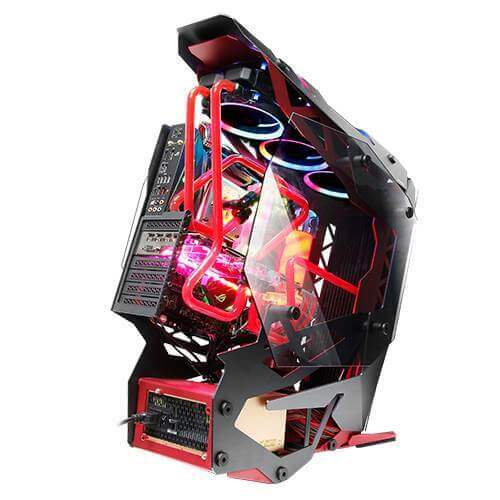 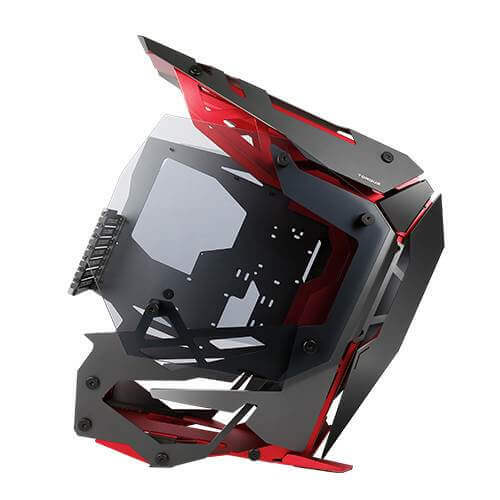 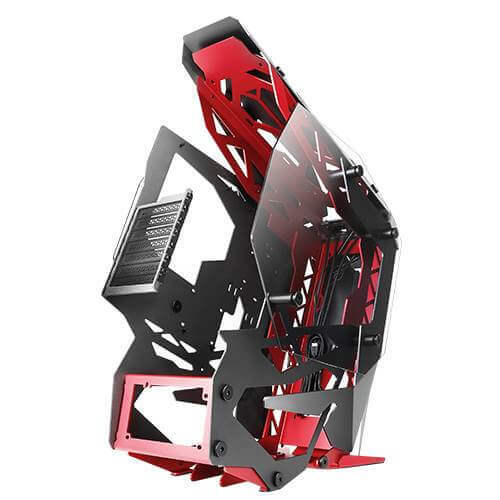 4 mm tempered glass side panels showcase your internal components in full glory.